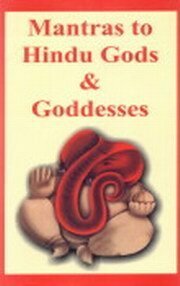 This Volume is a collection of mantras (spiritual signs) addressed to a number of deities of Indian spiritual and Religious Culture. These dieties are commonly known as gods & goddesses. They are symbol of faith and take care of various desires of their devotees and are supposed to satify them. Sanskrit Text and English Translation. Vol 1 : Mantras to Sri Ganesa, Hanuma, Visnu Narasimha, Gopala and Garuda, Text with Trs. Vol 2 : Mantras to Kali, Goddess Tara, Tara Ekajata, Nila Sarasvati, Chinnamasta, Sabri, Svayamvara, Madhumati, Pramoda, and Bandi Devi, Atayaksini, Varahi, Jyestha, Karnapisacini, Svapnesvari, Matangi, Banesi, Madanesvari. Vol. 3 : Mantras to Goddess Bala and Syama, Annapurnesvari, Mohan Gauri, Jyesthalaksmi, Pratyangira, Bagalamukhi and the two Varahis.